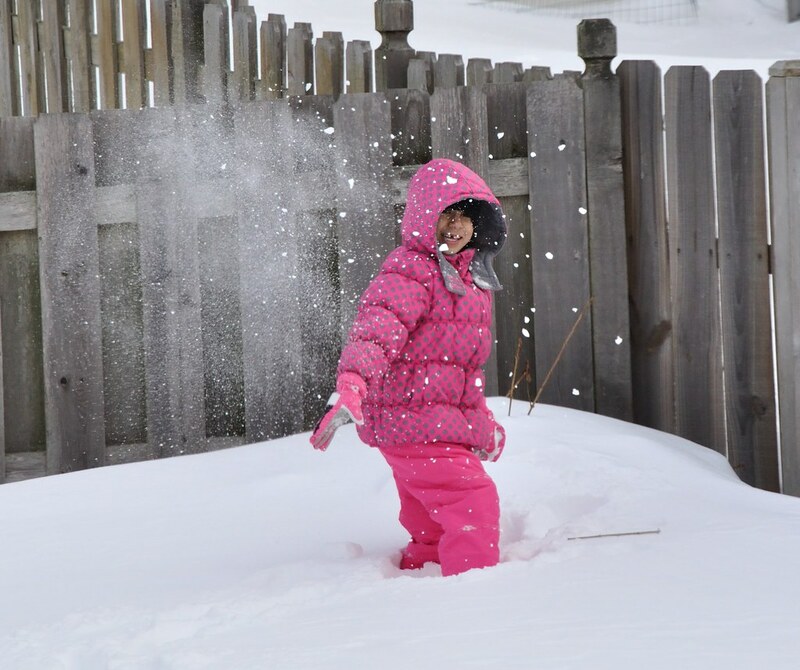 Ashna's first Snow day, and so was mine - in many years. A blizzard like this not seen for quite a few years. But I am very persistent. 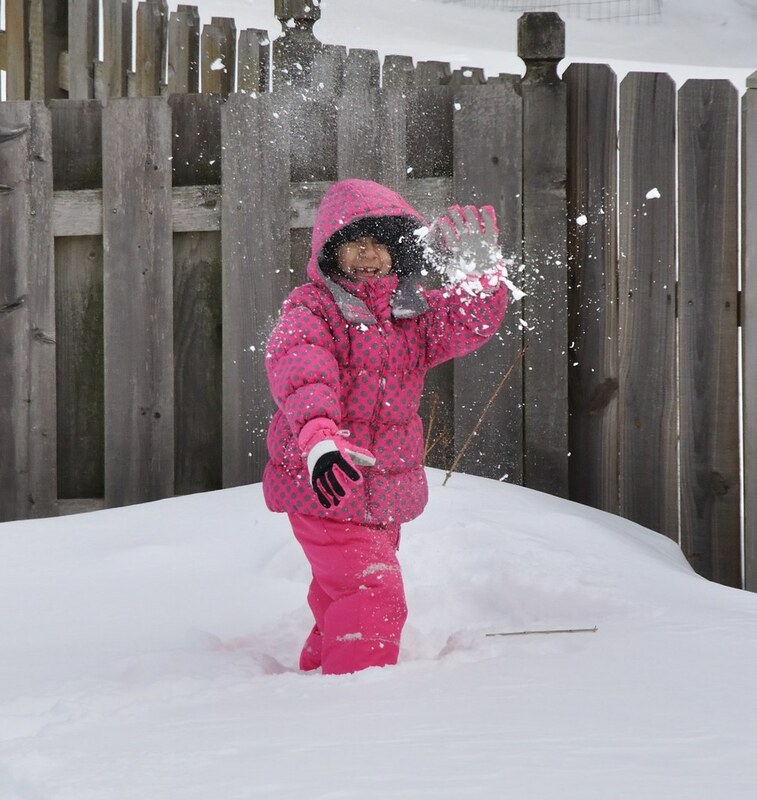 I threw another snow ball at her, and then tried to take a picture just as the snow ball exploded near her hands.